What would you do if your house payment suddenly went up $500? What if it was through no fault of your own? That’s exactly what happened to one of our clients, Kurt Petersen. Because of an oversight by his mortgage company, his flood insurance premium was not paid on time. This would normally be an easy problem to remedy, but with the new Biggert-Waters Flood Insurance Reform Act now in effect, his premium will jump from $1,800 a year to over $8,000. Sure, his premium would have increased anyway because his waterfront home in northeast St. Petersburg is in a flood zone, but only by 20 percent per year, up to the new higher non-subsidized rate. Equally concerning about this oversight is that his home and its contents were not covered by flood insurance for most of the year. "My home was without flood insurance for 10 months, and it was supposed to be paid through the escrow," Petersen said. 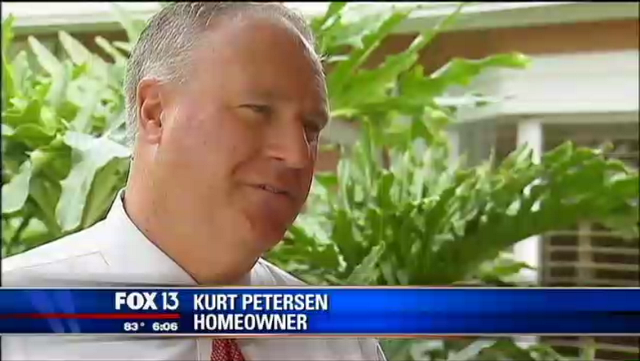 Like many homeowners, Kurt Petersen’s property taxes and insurance premiums are paid through an escrow account managed by his mortgage company. These costs along with his mortgage principal and interest are bundled into his monthly mortgage payment. The oversight seems to be a byproduct of refinancing his mortgage in 2012. An act that was intended to save money may end up costing Mr. Peterson much more. Peterson, a banker, calculates the difference between stair step increases and the immediate increase could add up to $50,000. This is why Mr. Petersen has enlisted the services of LeavenLaw. Attorney Ian Leavengood states, "Review of Mr. Petersen's re-finance closing documents clearly demonstrates not only that flood insurance escrow was contemplated by Mr. Petersen's lender, Wells Fargo, but that Wells Fargo even charged Mr. Petersen on the closing statement for a company to monitor and verify that Mr. Petersen continually had flood insurance. Both Mr. Petersen's lender and Life of Loan Flood Policy Company completely failed Mr. Petersen, and as a result, he has been irreparably damaged." Leavengood adds, "There's no negligence on the part of Mr. Petersen. He has made his payments in a timely manner and performed exactly how he was supposed to perform, and now he's at least potentially facing monetary damage." Leavengood is hopeful that either the National Flood Insurance Program will agree Petersen did not intentionally allow his policy to lapse, or the escrow agent will absorb the costly error. In either case, "Consumers just need to be very diligent," Leavengood advised. "They need to try to understand what this law means. You can't afford to let your flood policy lapse." 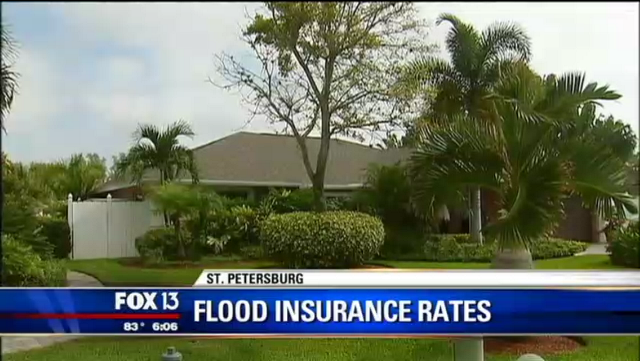 This case also illustrates how the flood insurance reforms impact local economies. The money to pay the higher premium will have to come from somewhere. "It means I'm not buying a new car," Petersen said. "I have a 1996 and a 2000, and one of them's gotta go soon." On October 7, 2013, Attorney Ian R. Leavengood successfully completed an intensive four-day course (or Boot Camp) concentrating in Mortgage Fraud actions, Bankruptcy Discharge litigation, Credit Reporting violations and other issues related to assisting consumers emerging from a bankruptcy case. 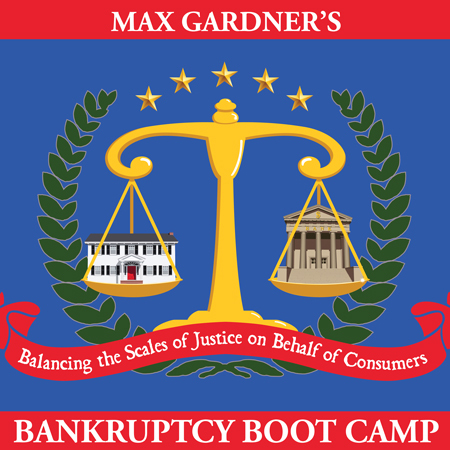 Run by the oft-quoted O. Max Gardner in North Carolina, Attorney Leavengood attended the Boot Camp with eight other consumer bankruptcy attorneys from around the country. Attorney Leavengood and his fellow trainees dissected 2,500+ documents including internal lender policies and SEC filings, learning the bank lingo, and "secret" codes and hidden risks found in the securitization of home mortgages, auto loans and common consumer credit card debts. Attorney Leavengood left the training as a proud and integral part of an elite national network of consumer bankruptcy attorneys armed with forms, letters, pleadings, articles and slides that show Gardner's Bankruptcy Litigation Model, which is designed to generate more economic benefits for the consumer and the attorney. Gardner told Business Week in the article "Bankruptcy Boot Camp," "My goal is to train an army of attorneys to take the fight right to the creditors and their Wall Street aiders and abettors. They wanted reform, and we're going to give it to them." Mr. Gardner's Bankruptcy Boot Camp has been featured in Business Week and was recently the subject of a CNN segment on the show "Open Home" along with the director of the movie "Maxed Out." “It is an honor and a privilege to serve in the elite army of consumer bankruptcy attorneys recruited and trained by O. Max Gardner to handle the difficult matters that have caused incredible hardship to the average consumer in today’s world,” said Attorney Leavengood. LeavenLaw is a consumer litigation firm that has been helping Florida consumers with credit and debt since 1972. The attorneys at LeavenLaw have filed thousands and thousands of bankruptcies for consumers and are now taking the offensive, meeting creditors, debt collectors and mortgage servicers head-on to confront and stop unlawful debt collection. The result can be dramatic - settled debts, damages, loan modifications and attorneys’ fees paid by the offending creditor or debt collector. "I am excited," commented Attorney Leavengood upon returning to St. Petersburg, Florida. "We have been using some of Max's strategies, but there is so much more to do. I feel armed, energized and ready to go." 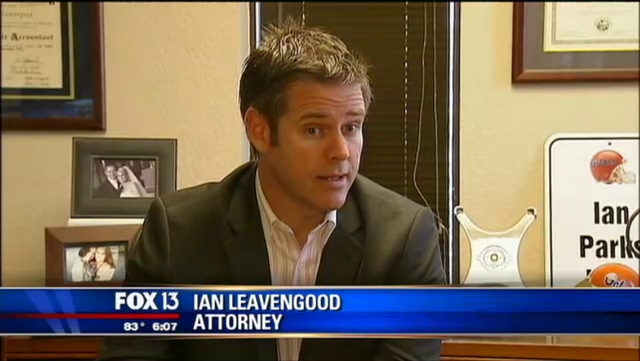 Ian R. Leavengood is the founding and managing partner of LeavenLaw. He is AV® rated by Martindale-Hubbel® for his preeminent legal ability and ethics and has been selected as a Super Lawyer and a member of Florida Trend’s Florida Legal Elite. If you are having problems with debt, mortgage, are seeking a loan modification or have credit reporting problems, please feel free to call LeavenLaw to schedule a free consultation to discuss your potential case, at (727) 327-3328, or visit the firm’s website at www.LeavenLaw.com.